Abstract Linear plasmids of eukaryotic microbes are contemporary manifestations of ancient viruses, which have adjusted to two cellular compartments during evolution, i.e., to the mitochondrium or to the cytoplasm. In either case, infectious viral functions do not (any longer) exist. Mitochondrial as well as cytoplasmic elements display a minimized gene equipment and an archetypical mode of replication. Plasmids of filamentous fungi are selfish DNA elements routinely residing in the mitochondria, in which they underwent coevolution with their hosts. In addition to the archetypical viral B-type DNA polymerase, they typically exclusively encode a viral RNA polymerase. Usually, there are neither positive nor negative impacts on their hosts. In a few instances, however, symptoms redolent of a molecular disease, such as the accumulation of defective mitochondria and early onset of senescence, manifest in plasmid-harboring strains. 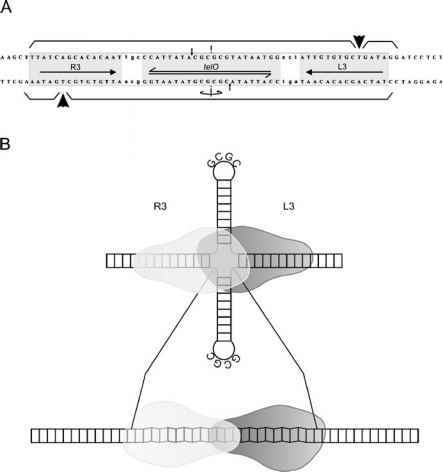 Cytoplasmic localization, which applies for almost all yeast linear plasmids known so far, evidently enforced a more complex enzyme repertoire (of viral origin) to accomplish autonomous extranuclear and extramitochondrial replication and transcription, such as a helicase, ssDNA binding proteins, and a capping enzyme. Accompanying cytoplasmic plasmids relying functionally on an autonomous element are rather frequent; some encode protein toxins, which benefits the respective host while competing with other yeasts (killer phe-notype). Such toxins assure autoselection of the plasmid system as well. Two distinct toxic principles are known up to the present: one was shown to be a tRNase, whereas the other clearly involves a DNA-damaging mode of action.